Being 40cm tall means that these roses will definately be small-headed. 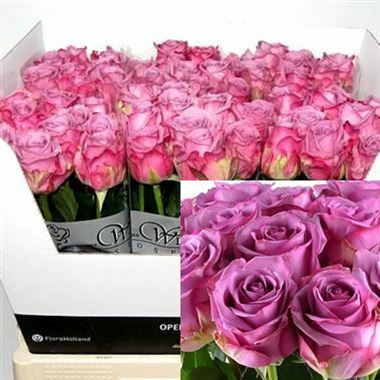 Cool Water Roses are lilacy purple & usually available all year round. Sold in wholesale wraps of 80 stems.